Easy baby shower favor to celebrate our Mother to BEE! These homemade baby shower favor ideas are so easy and inexpensive and such a nice way to thank all the guests for celebrating the Mom to Bee's special day! The baby shower we planned for our daughter-in-law was a Mother To BEE theme. It is such a cute and easy bridal shower theme to plan and was especially great as it is a gender neutral theme. Our kids chose not to learn if the new addition was a boy or a girl until delivery day, so it was the perfect theme. 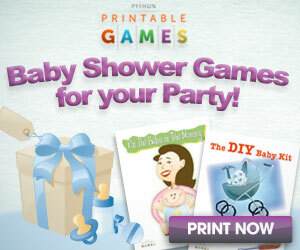 Look at these easy and creative baby shower favor ideas! Here are our easy, DIY baby shower favors for our BEE themed shower. The great thing is these favors would work for any theme.. after all no matter the theme, the Mother to Bee is always the star of the shower! Grab some Burt's Bee trial sized products, add some shredded tissue and tie into a clear plastic party bag. We then added labels thanking the guests for celebrating our Mother to Bee! Who doesn't love Burt's Bees products.. all natural and these homemade baby shower favors are something your guests will actually use and appreciate! You can buy this set of trial sized Burt's Bees Essential Beauty Kit, Everyday Best of all, each product is less than $2.00 a piece.. so these are inexpensive baby shower favor ideas! Here is a cute idea for the tag for this Bee themed favor.. you can personalize these with a thank you .. Ours said "Thanks for celebrating our Mom to Bee!" These are available at Big Dot of Happiness, one of our favorite online vendors for shower and party favors, invitations and more! Final step.. put together a nice display. We decorated wicker baskets with ribbons, tulle, bows, a little stuffed Bee and the tag. They looked so pretty and our guests chose their favor as they left the shower! Look at the adorable Bee Hive cake our hostess made! Could it be any cuter.. Here are some more Baby Shower Desserts you may enjoy! Learn how to make a diaper cake like this adorable Mother to Bee themed one we made! Instead of lots of baby toys, we added an assortment of Burt's Bee baby products in trial size for Mom's diaper bag! More easy, inexpensive, homemade baby shower favor ideas here!